A 57-year-old male was repeatedly admitted to hospital because of complex neurological symptoms, including radicular pain, disturbance of micturition, seizures, and severely impaired mental state. The diagnosis was encephalomyeloradiculitis possibly of viral origin, and treatment with immunosuppressants was initiated. An alternating course with a tendency towards improvement ensued. 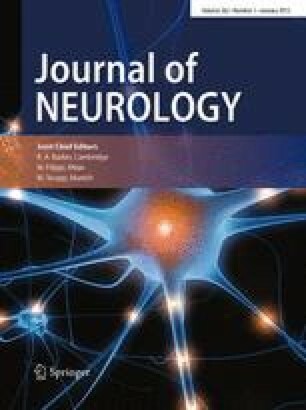 Two and a half years after the occurrence of the initial symptoms, identification of specific antibodies in the blood and CSF led to the diagnosis of borreliosis with CNS involvement. High-dose therapy with penicillin rapidly reduced the symptoms, beginning with those of radicular pain and followed by an improvement of the mental state. Attention is directed to the wide spectrum of clinical symptoms of chronic borreliosis with CNS involvement. Previous reports that immunosuppression may result in some improvement but with a tendency towards relapse are confirmed. Our encouraging treatment results support those of other reports that penicillin therapy may lead to improvement even at late chronic stages in patients with severe CNS deficits.